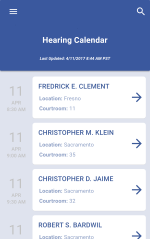 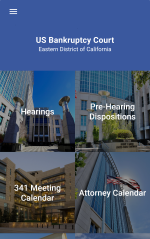 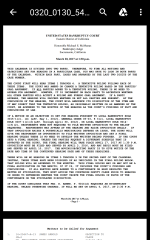 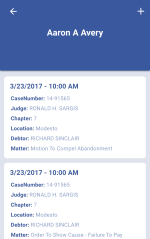 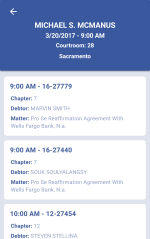 The United States Bankruptcy Court for the Eastern District of California would like to introduce its new calendar app. 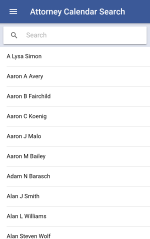 The app is available for free and can be downloaded either from the Google Play Store or the Apple App Store. 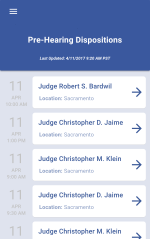 It features the ability to preview current court and 341 Meeting calendars as well as pre-hearing dispositions. 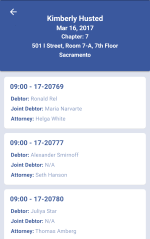 Its searchable by attorney (when the attorney has a pending calendar matter), debtor name or case number. 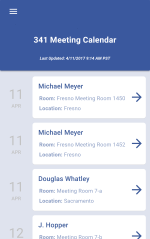 Take a tour of our mobile application by clicking on the thumbnails below.